Draft graphic for the new Threatened Voices platform. In 2018, Global Voices newsroom editors, section leaders, and other core team members will be experimenting with a new approach to our work: periodically setting detailed goals and keeping track of our progress on the Community Blog. 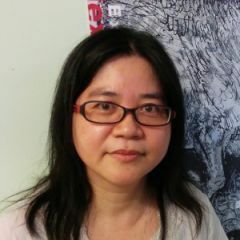 In the following post, China & Northeast Asia regional editor Oiwan Lam presents her plans for the first part of the year. 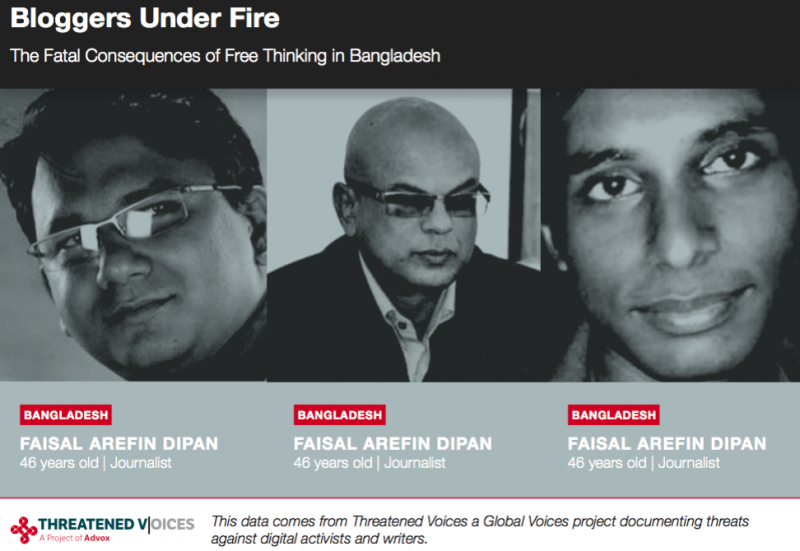 I joined the Threatened Voices project three months before it was first launched in 2009. Back then very few websites used mapping as a visualization technique. It was an impressive way to show trends and comparisons across the globe. However, when I started entering incidents of threats against bloggers in the Chinese-speaking world, I stumbled into a number of problems. When entering the data, the first question that came to my mind was whether the “threatened” person was a blogger and whether s/he was harassed, arrested or killed for “speaking out online”. Upon some discussions, the team agreed that if a person was “threatened” due to an offline action like protest, the person should not be included in the database. But as we know, the line between online and offline actions is often blurry. For example, Nobel Peace Prize Laureate Liu Xiaobo was arrested in June 2009 and later jailed for “inciting state subversion” as he was a main organizer behind the 08 Charter Manifesto, a petition calling for constitutional reform in China. Signatures for the petition were not collected on the public Internet, but the 08 Charter was later widely circulated online. Should Liu Xiaobo be included in the database then? This confusion has sometimes made it hard for online free speech advocates to come up with a good strategies and partnerships to defend bloggers and online activists, but it has never been more important to try. The second challenge was that we needed to determine whether we could ethically document and shine light on these cases of threat on a public platform. Censorship and repression often happen in secrecy. In the context of China, some netizens when facing political harassment prefer to keep silent, hoping that this will lead to lesser punishment. Many also believe that affiliation with western media outlets could bring them more trouble. As it was almost impossible for us to ask people under threat for their permission to publish these cases, we only collected cases reported by media and human rights organizations. The third challenge was related to the timestamp. In cases of arrest and imprisonment, we were supposed to fill out the arrest and release date. Yet in many cases, the media only reported the arrest but not the release and many bloggers had been arrested several times. These details were typically not reflected in our visualizations. 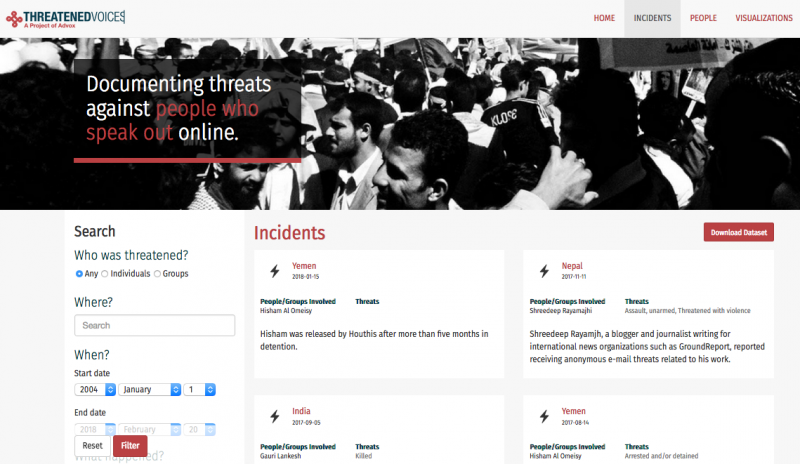 Screenshot from the original Threatened Voices platform. The last but not least of our challenges was our approach to populating and maintaining the data. We assumed the project could be “collaborative”, meaning that concerned netizens would voluntarily contribute to submit case reports. But this assumption turned out to be wrong. Keeping track of political harassment cases take very strong motivation as well as skill and time. It is not a task that can be handled voluntarily. If we have to build a local team of online free speech watchers, we need to have more resources for community building and training. Despite all the difficulties, the team still decided to continue with the project. In 2012, Sami left and Hisham became the new Advox director. But the data collection of Threatened Voices had lost the momentum and the Advox team decided to put more emphasis on writing stories about threats to online free speech and privacy. After Ellery succeeded Hisham as advocacy director in 2015, we had a series of conversations about Threatened Voices and re-vamping the platform. Thanks to the work of the Advox team and our primary partner, Visualizing Impact, it is finally (almost) ready to relaunch. While I was not actively involved in the redesign of the website, I am very glad to see that the new site has dropped the mapping feature altogether. This was an outdated and incomplete data visualization that looked rather misleading, as it suggested that our dataset was complete and global, which it is not. We recognize that we will never have a complete data set, due in part to our time and resource constraints, but also due to the fact (mentioned above) that censorship and repression often happen in secrecy. We cannot know every incident that takes place, precisely because so many of them are never spoken of. The data are now organized under two vectors — “incidents” of threat and individuals/groups who are targeted. This allows us to show connections between incidents and people, as this is often a significant aspect of threat trends. The system also allows us to build visualizations of various types of data, and tools like timelines, which will greatly aid our day-to-day coverage of such cases in Global Voices stories. 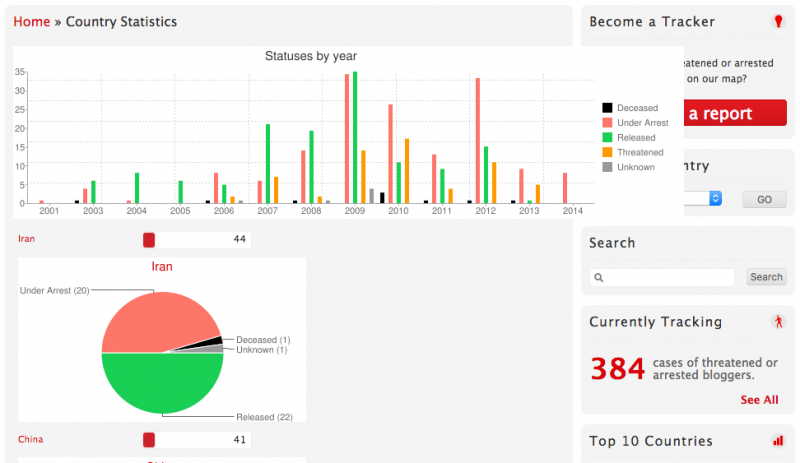 The incident search page for the new Threatened Voices platform. I had been feeling regret that the previous Threatened Voices Project had fallen apart. At the same time, with all the doubts in my mind about the structure of the platform, I had lost the motivation to update the data for China. Now that the project is going to re-launch, I hope I can contribute more time to rebuild the Chinese data set. This is my goal for the next few months of 2018. 1. Goal: With Threatened Voices about to re-launch, I would like to populate the China entries in the new database. 2. Significance: We want to make Threatened Voices more informative when going public. 3. Impact: I hope to make China well-represented in the Threatened Voices project. 4. GV Mission: Support freedom of speech and blogger-activist community. Categorize the Threatened Voices cases into citizen right defenders, journalists, bloggers and netizens, ethnic minorities, etc. Middle of May: a minimum of 100 new entries in the data set. 6. Measurement and output: number of data entries; feedback on the Threatened Voices user guidelines.